We have a whole host of free events, seminars and workshops taking place right across the East of England this September. So if you’re looking for advice on starting your own business – or indeed growing an existing business – get in touch today. Be a part of the world’s biggest coffee morning on Friday 26 September at 9am. Hosted by Nwes Premises at the prestigious Beacon Innovation Centre in Gorleston, Norfolk. Join the staff as they prepare to go head to head as part of the great Beacon Bake Off! Raise a mug to the results of the Macmillan sweepstakes. More information. Don’t worry if you can’t make these dates, our advice and training calendar has plenty of alternative dates. Get a loan. Get a mentor. Get ahead. 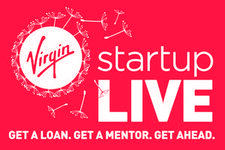 That’s the mantra of the upcoming Virgin StartUp Live tour, which hits Cambridge on 4 September. Forming part of a series of free events across the country it’s something of an indispensable springboard for entrepreneurs. 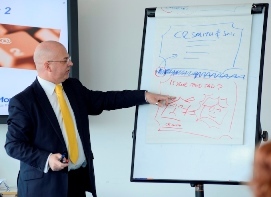 Come along and receive guidance on getting your business idea off the ground. Chat with experts who can guide you through the Virgin StartUp loans process and network with other entrepreneurs and potential mentors. Headline speakers at the Anglia Ruskin University event include Julie Deane, the founder of The Cambridge Satchel Company and Annabel Karmel, mumpreneur and best-selling author on baby food and nutrition. Full details. Trust the OrbisEnergy team with all your meeting and conferencing requirements as part of their ‘Conference Club’. The specialist innovation and incubation centre for the offshore renewable supply chain has a special offer; book 4 meetings in the well-equipped boardroom or selection of meeting rooms and get the fifth booking completely free! More information is available from the team on 01502 563368, via email orbisenergy@nwes.org.uk and online. This is your last chance to be named the ‘Start Up of the Year 2014’ and to win £5,000 and a bundle of goodies. The competition closes on 1 September 2014 and full details on how to enter, timeline and prizes are available via the Start Up Loans website.